Summer always means bright colours in our home, and now I can spread the coloured fun to my children’s feet! Dunlop Volley Kids footwear has always been great value for money and with their new summer range of sneakers and thongs hitting the shelves it’s just as well – because you’ll be hard-pressed to stop at one pair. 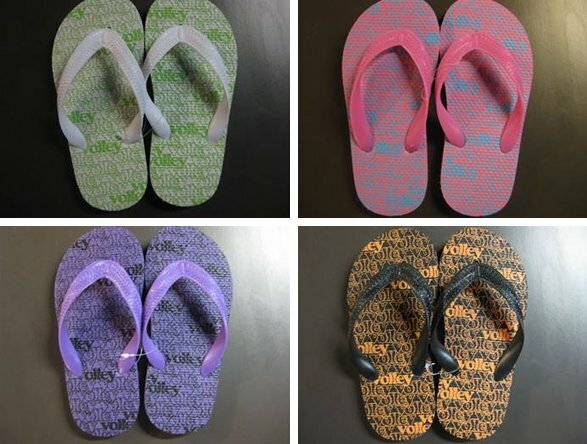 Newly available is a gorgeous range of coloured thongs for boys and girls; whether your colour of choice be pink, purple or green they’ll give a great burst of colour to any outfit (or bathers and towel!). Dunlop hasn’t stopped there; they’ve also brought out a fun summer range of slip-on shoes and sneakers in classic black and white combos alongside a variety of solid colours and patterns. Run, don’t walk to your nearest Dunlop Volley stockist… with thongs priced at $9.99 and sneakers at $30, everyone is going to want them! Check out Dunlop Volley for stockist details.